Only one month until Sophie Till returns to Australia as a Keynote Speaker for the national AUSTA Conference, to present a day-long workshop in Sydney, a duo recital with pianist Therese Milanovic, and give individual tuition in Brisbane and Sydney. 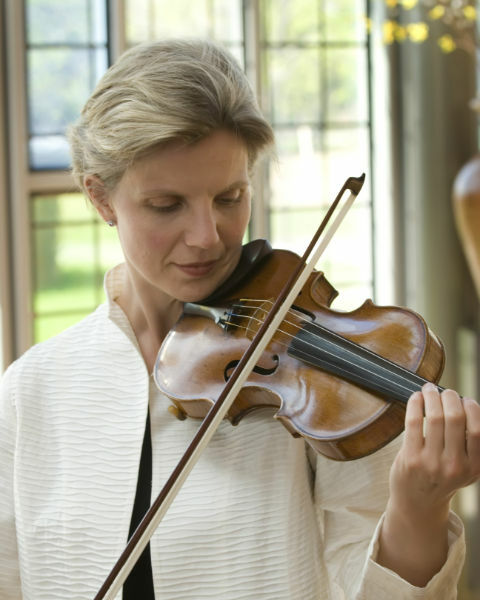 She answers some FAQs on the Taubman / Golandsky Approach to Strings. – What is unique about the Taubman / Golandsky Approach for strings? The first unique factor is its comprehensive nature. It really is a comprehensive body of knowledge about the specific motions that go into playing the instrument. As players we exist mostly in that internal landscape of physical motion and musical drive. What the Taubman/Golandsky work can do is to not only identify those almost invisible movements and explain how they happen, but also how these different movements interact, resulting in ease comfort and power. Furthermore it is technique absolutely married to the music. Part of the Taubman/Golandsky work’s comprehensive nature is how the knowledge of these physical motions serves the music and enables us to communicate as artists. When I first came across this work, it was a relief to find information that was physically logical for the body and was described in such clear detail that made clear sense. It was immediately evident what enormous potential there was in this approach. – What’s different about this approach? The Taubman/Golandksy Approach has a very specific language to describe the movements and a specific pedagogy that has been developed to a phenomenal level of clarity. So not only is the information itself remarkable in its ability to describe and analyze the physical motions that go into playing, but the development of the pedagogy is such that it can be communicated to players of all ages and stages with an unusual level of precision, whether it be high level professional players or a group lessons with young children. – Is it only for injured players? Absolutely not! My own beginnings with the Taubman/Golandsky work were not as a result of injury. As players we are all trying to meet the demands of the instrument and serve the music to the highest level. As mentioned earlier, the approach gives us precise physical tools to produce singing tone, colour, phrasing and articulation just to mention a few. It is a relief to have a concrete answer to solve a musical issue, it makes practicing faster, produces results that can be relied on and therefore allows an interpretation to build. – Who can benefit from this Approach? The short answer is everyone, that is the beauty of the comprehensive nature of this work and the level of pedagogical clarity. It can solve injuries, pain, discomfort and fatigue; it can answer those nagging questions that seem to plague us and be insolvable; it can solve playing limitations and open new doors to virtuosity and musicality; it can help prepare for auditions and concerts; it can be for the highest level of players to the youngest. – What can I expect at the Sydney day long workshop? We will look at some of the Taubman/Golandsky fundamentals as these tend to address the most commonly asked questions. There’ll be time for hands-on work where you can bring up a passage or try something out. It is a practical day so bring instruments and it is great when people get up and try as it is in the actual experience that this information makes most sense. – Would violists, cellists and double bass players also benefit? – If I do decide to book an individual lesson with you in Sydney or Brisbane, how should I prepare? I usually answer this by telling people to bring all the things they normally try and hide in their playing, whether it be a certain passage or type of passage, a general technical or physical question, an injury or an upcoming performance. The only preparation needed is to be clear about what problems you want solved. ← “What’s the next thing that will kill me?” What we can learn from space travel.